Expert advice for married borrowers and their loan repayment. I have a question about a joint consolidation loan and income-based repayment (IBR). My wife and I consolidated our loans jointly about 10 years ago (when such things were allowed). My name is at the top of the loan. My wife and I both individually had about $70,000 in loans and our joint loan was $140,000. It is currently at about $150,000 owed. I make an adjusted gross income of $60,000, and my wife (due to health issues) cannot work and has no income. We have one child. When I run the IBR calculator it looks like our loan payment should be about $400/month if we file jointly. If we choose to file separately, each tax return will show an AGI of $30,000. (We live in Washington, a community property state.) Assuming the tax liability was similar either way (I believe the only deduction we would lose is the student loan interest deduction), would we have a separate IBR amount for each of us based on the $30,000 (approximately $20/month each)? — S.W. The answer to this question applies to all married couples with student loans, without regard to whether their loans were jointly consolidated or kept separate. When there is a mismatch between income and debt, where total student loan debt exceeds total annual income, the borrowers should consider using income-based repayment (IBR). With $150,000 in student loan debt and $60,000 a year in income, there's a debt-to-income ratio of 2.5 to 1. Clearly, borrowers with such a high debt-to-income ratio need IBR. The only question is whether the couple should file joint or separate federal income tax returns. When a married couple files joint returns, eligibility for IBR is based on the joint income and the couple's total student loan debt. The monthly payment under IBR is then based on the joint income and applied in proportion to the loan balance to all the loans. 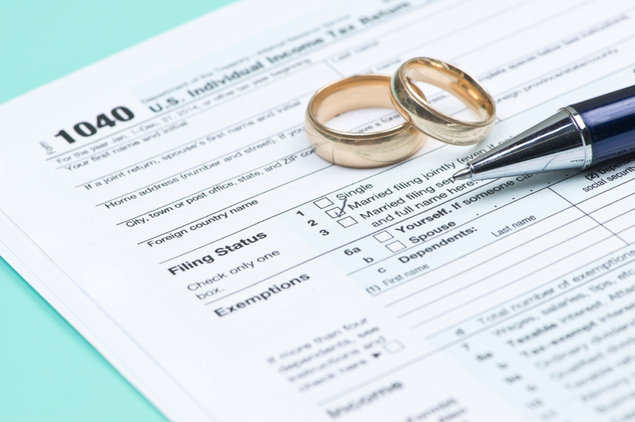 When a married couple files separate returns, eligibility for IBR is based on each taxpayer's separate income and just the taxpayer's own loans. (With a joint consolidation loan, each spouse is responsible for the full loan amount and so the full loan counts toward each spouse's separate eligibility for IBR.) The monthly payment under IBR for each borrower is then based on just the borrower's income and applied to only the borrower's loans.